"I took them home, lit a stove to warm them and fed them fish." 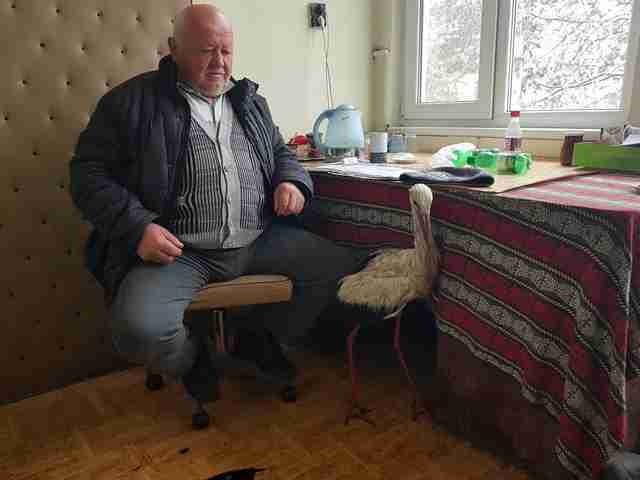 It’s a compassionate gesture to open up your home to strangers — and that’s exactly what a group of Bulgarians did for some wild storks who desperately needed their help. It’s been particularly cold in Bulgaria recently, and wild storks have been suffering — the icy temperatures have frozen their wings, making it impossible for them to fly or seek shelter. One man, 53-year-old maintenance worker Safet Halil, decided to help. 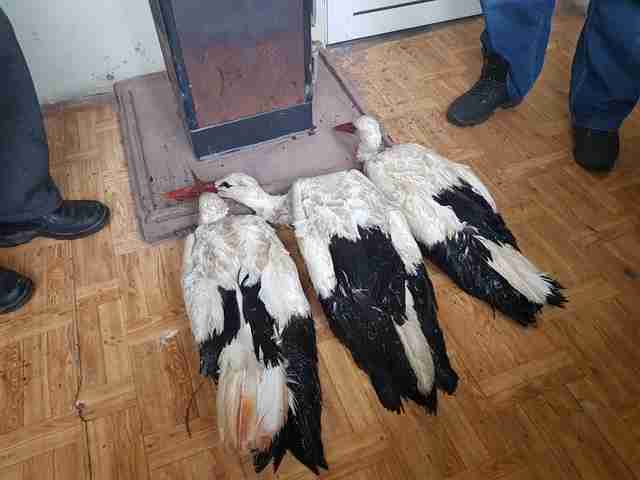 "I found five frozen storks near the village road the day before yesterday," Halil, a resident of Zaritsa, Bulgaria, said in a news report. "I took them home, lit a stove to warm them and fed them fish." 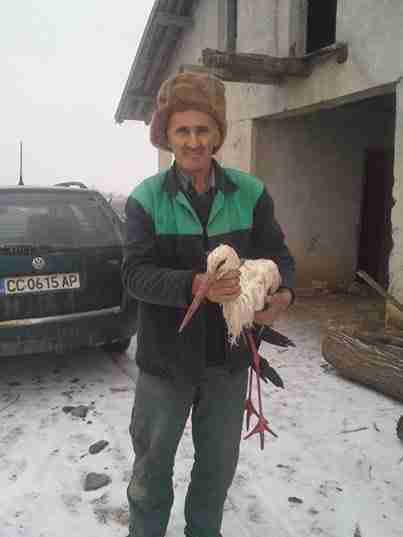 News of Halil’s compassion quickly spread on social media, and other people in Bulgaria starting bringing storks into their homes as well. In one online video, a man gently combs ice from a stork’s wings while the stork sits on a blanket in front of a heated stove. Other storks are on the blanket, too, and more are nestled on a nearby couch. The man’s own family, including a toddler, shares the room with the wild storks. According to reports, people have sheltered more than 40 birds in their homes, garages and barns. One photograph even shows storks taking up residence in a bedroom. These small acts of kindness likely saved the storks’ lives. Hristina Klisurova, a spokesperson from the Green Balkans Wildlife Rehabilitation and Breeding Center, explained that it’s been a particularly tough time for storks, who are used to spring weather in Bulgaria at this time of year. "It's the first time that we have seen so many storks in distress in Bulgaria," Klisurova told AFP. However, she made a public appeal on Bulgarian television for people to only take in “those who are in a state of distress, injured or with frozen wings,” and to release any rescued birds back into the wild as soon as possible. 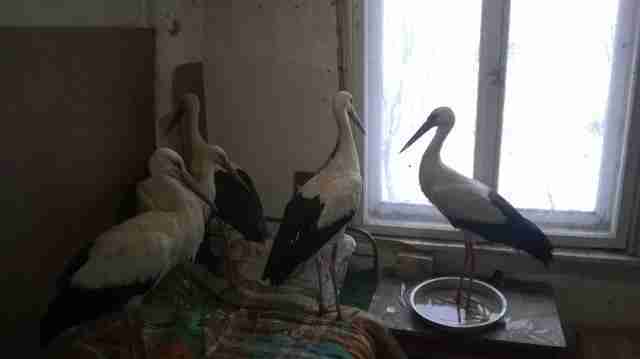 The team at the Green Balkans Wildlife Rehabilitation and Breeding Center has been doing its own rescue work by venturing out in the snow to treat injured storks and provide food. 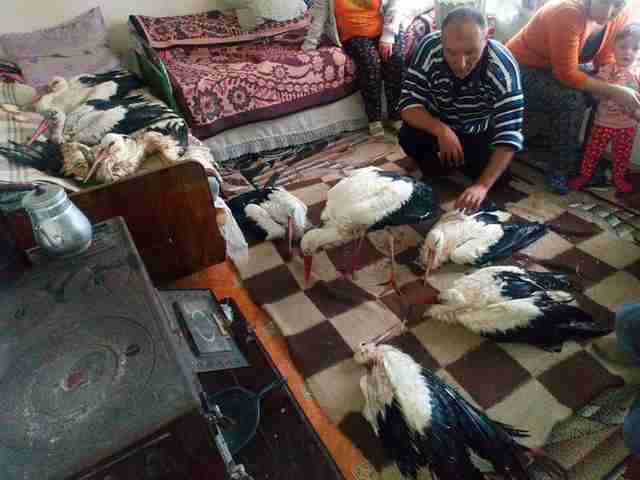 Halil explained that he’d keep his storks for about five days. "It is minus 3 degrees Celsius [27 Fahrenheit] today and the weather is getting worse," he said. But he reported that the birds are doing well — and he doesn’t seem to mind any temporary inconveniences. "I already received two or three beak pinches on the arms," he said with a smile. To help wild storks in Bulgaria, you can make a donation to the Green Balkans Wildlife Rehabilitation and Breeding Center.